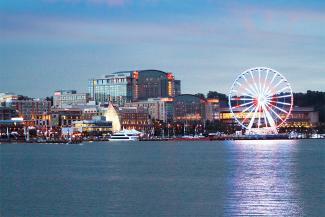 Maryland is a beautiful state, with sights and attractions to appeal to travelers with a wide variety of interests. From the Atlantic Coast to the suburbs of Washington, D.C., there is plenty to see and do in this relatively small state of just 10,455 square miles. Whether you are interested in history, nature and wildlife or water-based activities, you're sure to find plenty to see and do in Maryland. According to Margot Amelia, executive director of the Maryland Office of Tourism, "Ocean City in Maryland's Eastern Shore has long been a family favorite. Visitors can spend hours soaking in the sun along its ten miles of free beaches or enjoy a weekend of golf or fishing. Camp at nearby Assateague Island National Seashore, featuring picnic areas, nature trails and the infamous wild horses that roam the windswept barrier island." 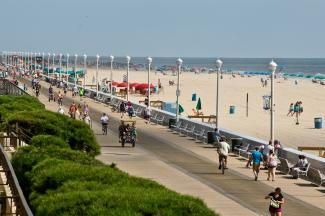 Bob Diener, travel expert and founder of getaroom.com also includes Ocean City in his list of favorite destinations. Diener praises the town for its "miles of soft white sand along the Atlantic Ocean, boardwalk, amusement park and water slides." Amelia also lists Baltimore as one of the best places to visit in Maryland. She states, "Baltimore is a colorful city on the water that allows visitors to let go and explore at their own pace. In this very walk-able city, you're only steps away from touring the famed Inner Harbor and the surrounding neighborhoods including world-class museums, unique dining and shopping experiences and family-friendly guided boat tours." Diener also praises Baltimore's Inner Harbor, urging visitors to "visit the National Aquarium and the USS Constellation." 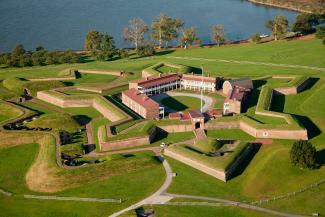 In the Baltimore area, Amelia states, "A must-see historical site is Fort McHenry National Monument and Historic Shrine, which played an integral role in Maryland history, particularly during the War of 1812 where its defense inspired the writing of our national anthem 200 years ago. Visitors can visit Fort McHenry year-round and learn more through living history activities, park rangers, and other special events and programs each day." 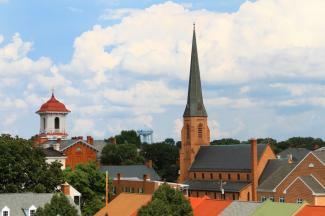 Amelia states, "Annapolis is the State Capital of Maryland and home to the U.S. Naval Academy." 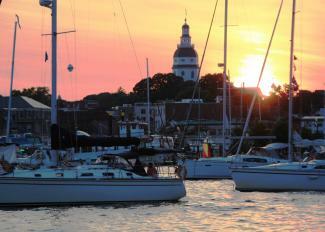 She continues, "Boasting a rich nautical heritage, Annapolis is world-renowned as the Sailing Capital of America. There are countless possibilities for getting out on the water and exploring the Chesapeake Bay through world-class professionals or self-guided tours. You'll find this historic waterfront city to have a vibrant small town feel with one-of-a-kind boutiques, art galleries, and local Chesapeake cuisine." According to Amelia, "National Harbor is becoming a tourist favorite with its dining, outlet shopping and family-friendly atmosphere." She states, "Located just outside of Washington, D.C. alongside the Potomac River, visitors can enjoy a cruise on the river or ride the massive Capital Wheel, which is an observation wheel allowing you to see spectacular panoramic views of the iconic skyline of the nation's capital from 180 feet up in the air." 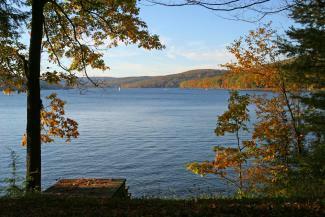 Those who enjoy outdoor activities will enjoy a visit to Deep Creek Lake. Amelia explains, "Deep Creek Lake is nestled into the mountains of Western Maryland. It offers a variety of outdoor activities for all seasons - whether hitting the greens, hiking or boating in the summer to skiing, snowboarding and snow tubing in the winter." She continues, "Both Maryland residents and visitors alike seek it as a getaway to unwind and just plain relax in its natural beauty." 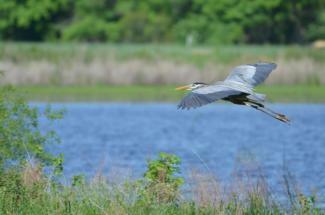 Diener recommends Blackwater National Wildlife Refuge (NWR), which is "part of the Chesapeake Marshland NWR Complex," as a wonderful spot to get back to nature in the eastern part of the state. As Blackwater National Wildlife Refuge "was established in 1933 as a waterfowl sanctuary for birds migrating along the Atlantic Flyway," it is an amazing spot for bird watching, as well as communing with nature and viewing other wildlife, including deer. What you'll see when you visit varies seasonally; depending when you arrive, you may see bald eagles, osprey, songbirds, blackbirds and many migratory birds. Bob Diener also recommends the town of Frederick, praising its "restored downtown and great restaurants." The active Downtown Frederick Partnership provides information about and promotes the many activities and special events in the historic small town's lovely downtown area. There are numerous attractions to visit in Frederick, including the Roads and Rails Museum, Schifferstadt (the oldest house in the state), Gambrill State Park, Carrol Creek Linear Park and much more. It is particularly lovely during the autumn, when fall festivals like Frederick's Oktoberfest, the Maryland Pumpkin Festival and the Farm Museum Fall Festival, are held. These are just a few highlights of the many wonderful places to visit throughout the state of Maryland. The state is home to many scenic byways and historical attractions, not to mention nautical and beachfront recreation. Make this lovely state one of the next places you visit!